When Dr John Watson takes rooms in Baker Street with amateur detective Sherlock Holmes, he has no idea that he is about to enter a shadowy world of criminality and violence. 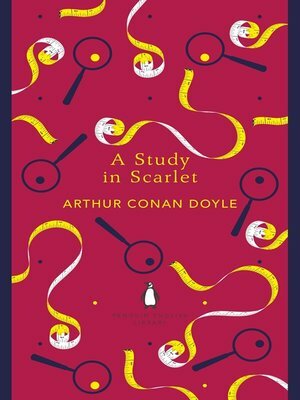 Accompanying Holmes to an ill-omened house in south London, Watson is startled to find a dead man whose face is contorted in a rictus of horror. There is no mark of violence on the body yet a single word is written on the wall in blood. Dr Watson is as baffled as the police, but Holmes's brilliant analytical skills soon uncover a trail of murder, revenge and lost love . . .